De_lawn Pridham was baptised at Ashburton in February 1693, the son of Petri. Delann Pridham of Ashburton married Elizabeth Woodford of the same in April 1719. The National Archives hold a will for Delann Pridham of Ashburton, Chirurgeon. It is dated 29th August 1723. May 14th 1741. William the son of William Ley is baptized. 1752 A will dated 1750 and written by Francis Mallock of Chelson leaves one guinea (to buy a ring) to her sister Elizabeth, wife of William Ley of Ashburton, surgeon. 1757 A feoffment* and bond names William Ley, surgeon. 1771 A lease concerning part of Sherrill, Widecombe in the Moor, names William Ley, surgeon. 1741 December. William, the son of Mr. Thomas Cooksley, was baptized. 1769 Elford Sparke, the son of Mr. Wm Cooksley and his wife Margaret, was baptized July 11th. He was buried on 30th December. A will proved in the Prerogative Court of Canterbury dated February 1796 was written by Doctor John Sibthorp, MD and Regius Professor of Botany in the University of Oxford, Doctor of Physic. 1737 Nicholas Tripe of Ashburton, surgeon, is one of the plaintiffs in the case of Martyn v. Martyn. August 1738 Nicholas Tripe married Mrs. Hester Sowter. December 11th 1739 John Sowter Tripe, the son of Nicholas, was baptized. February 1739. John Sowter Tripe, the son of Nicholas, was buried. The fact that John appears to be baptized ten months after he was buried may seem bizarre, but until the Calendar Act of 1752, the year in England began officially on 25 March (Lady Day), even though there were celebrations in January. John's brief life was thus: baptized December 1739, alive January 1739 (we would say January 1740), buried February 1739 (we would say February 1740). In February 1748 Nicholas Tripe married Mrs Rebecca Yarde at Kingsteignton. In his autobiography the Rev John Swete, born John Tripe, says that his father was Nicholas Tripe and his mother Rebecca Yard. John Philips 1751, William Marshall 1754, Thomas Land 1757, Will Cookesley 1758, William Brown 1760, Christopher Scarle (Searle?) 1762, Charles Caines 1769, Servington Savery 1770, James Magridge 1772 and Wm Neyle 1783. Mr Tripe is a very ingenious and observing surgeon.. In 1749 a body was discovered in a vault in Staverton, in a remarkable state of preservation. Dr Huxham wished to dissect the corpse, but in the end he was not able to attend, and the dissection was instead performed by Mr. Nicholas Tripe, a surgeon from Ashburton. 'As it does not appear by the register of burials that any person has been deposited in this vault since October 15 1669, it is certain that a body has lain there upwards of fourscore years, yet when the vault was opened about four months ago, it was found as perfect in all its parts, as if but just interr'd. A winding sheet, which was as firm as if but just applied, inclosed it from head to foot; and two coarse linen cloths, dipp'd in a blackish substance like pitch, infolded the winding-sheet. The body thus protected was placed in an oaken coffin, on which, as it was always covered in water, was found a large stone and a log of wood, probably to keep it at the bottom. Extracts of several letters from John Huxham, M D of Plymouth, FRS, and Mr Tripe, surgeon, at Ashburton in Devonshire, concerning a body found in a vault in a church at Staverton in that county, communicated by Thomas Stack MDFRS (January 1st 1753) p253ff. November 30th 1780 Nicholas Tripe, bachelor, married Grace Palk, by licence. The Golden Lion was possibly built circa 1790 as a private residence for Nicholas Tripe, surgeon. A connection is mentioned by his son, the Rev John Swete. See the section on the Rev John Swete in Famous Ashburtonians. * The parish register shows Nicholas Tripe, surgeon, being buried on 19 June 1790. 1768 Thos Coryndon Eastabrooke is an apprentice to William Cookesley, surgeon, Ashburton, as is John Henry Bridgman in 1771. These are followed by Joseph Parr in 1774, John Rowe in 1777 and Chichester W. Braton (to William S. Cookesley) in 1791. William Sparke Cookesley, surgeon, is mentioned in a release in 1792. In 1783 Simon Rawling was an apprentice with Henry Gervis, surgeon, as was Richard Bealy and Frederick Spry in 1788. 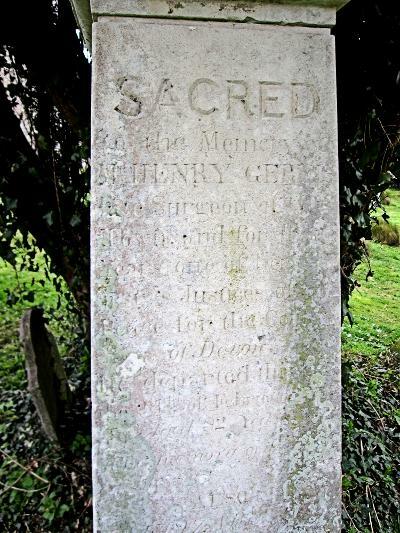 Henry Gervis and his wife Elizabeth had several children baptised in Ashburton: Henry in 1782; Louisa (Jervice), 1783; Elizabeth, 1789; Henry and John (Jarvis), 1793; George in 1799; and Frederick Sherland in 1804. In the 1840s a Robert Lee gave a lecture at St George's Hospital on how diseases could pass into foetuses, asking whether a foetus could contract a disease such as smallpox even though the mother was perfectly healthy. One of the examples which Dr Lee gave concerned Henry Gervis, 'a surgeon of eminence at Ashburton' who had reported to Dr Jenner - presumeably Edward Jenner, famous for his work on innoculation. In 1808 smallpox broke out at Woolson Green, about 3 miles away from Ashburton, and Dr Gervis vaccinated the wife of James Basquell, 'two punctures in each arm'. Mrs Basquell was in the last month of her pregnancy, and subsequently showed symptoms of cow-pox, but nothing more. When the child, a girl*, was born, she had 'many eruptions', giving the appearance of early stage smallpox. 3 days later the symptoms were more distinct, and Dr Gervis called in various physicians from Ashburton, Totnes and the surrounding area to witness the fact. He also 'armed some lancets with virus, and produced the smallpox by inoculating with it.' The child had slight convulsions a few days later, and died shortly afterwards. *A Maria Baskwill, the daughter of James and Mary was baptised privately on the 14th June 1808 at Staverton. She was buried ('an infant') on the 21st. The Exeter Flying Post reported in 1811 that Henry Gervis of Ashburton had been admitted as a Member of the Royal College of Surgeons. Elizabeth, the wife of Mr. Gervis, surgeon, Ashburton, died in London on the 4th June 1821, after a 'short but severe illness'. She was 61. In 1827 Mr. Gervis, surgeon, Ashburton, 'settled in London' over thirteen years, was advertising for an apprentice. He would be, claimed the advertisement, treated as one of the family in every way, and would be able to attend hospitals and lectures. 1831 The Devon Heritage Centre has a bill from Henry Gervis, surgeon, to the overseers of the poor of Ilsington parish. The bill, for various treatments and medicines, was not allowed. In 1831 a letter addressed to a Mr. Barnes on the subject of tithes, agricultural labour and wages could be purchased from, amongst others, Mr. Creagh of Ashburton. Written by 'Ashburtonienses', it was a reply to a letter written by Mr. Barnes to Henry Gervis, Portreeve. 1839 When Dr. Soper, Portreeve, was unable to take the chair at a public meeting, Henry Gervis Snr., took his place. 1841 census HO107; Piece: 253; Book: 1; Civil Parish: Ashburton, Devon; Enumeration District: 8; Folio: 8; p8. George married Elizabeth Soper in Ashburton in September 1825, and their son Walter Soper Gervis was baptised in July 1828.The 1851 census shows George aged 52, his wife Elizabeth and three children including Walter S. Walter is a medical student; his father has various initials as his occupation, some of which appear to be FRCS (Fellow of the Royal College of Surgeons). He is 'not practising'. Walter received his certificate to practise in June 1854, at the Apothecaries' Hall. George has died by the 1861 census, which shows Walter S. and two sisters living with their widowed mother Elizabeth in West Street. Walter is an MD Aberdeen, and MRCS London. In 1862 Walter became an Hon Assist. Surgeon with the Rifle Volunteers–see Dave Dycher's research in The rifle volunteers continued–and was a witness in the 'Ashburton rabbit pie' poisoning case–see the Crime and punishment section of Ashburton in peril. 1873. Dr Gervis, at his own expense, planted shrubs and flowers on land reclaimed when a new sewer was constructed in the town. He also planted an avenue of chestnut trees along the new road parallel with the railway. Western Times 5 December 1873 p5 col6In 1886 Walter S Soper married Jane Parnell Stear, and the 1891 census shows the 63 year old doctor living in West Street with his 34 year old wife. When he died in 1892 the Western Times reported that 'An eminently useful life was brought to a close.' He was 23 when he began his practice in the town, as a partner to the late Dr Bean; later he pursued a solo career, before taking on Dr Fraser as a partner, and followed by Dr Lewis Brown. Three sons of William Southcott Young, surgeon, Ashburton, attended Blundell's School in Tiverton - Fitzwilliam, 12, who was there between 1798 and 1801; George, 11, who was there from 1801 to 1804 and Thomas, 13, a pupil from 1808 to 1810. Thomas's entry says that his father is deceased. James Mogridge, surgeon, also had three sons at the school: James, 12, who was there between 1802 and 1805; Walter Palk Mogridge, 13, who attended between 1804 and 1806 and Robert, 14, at the school from 1811 to 1812. June 1818. William Willcocks, medical man, and his wife Elizabeth have a daughter, Elizabeth Jane, baptized. In April 1812 George Cutcliffe of the parish of Ashburton married Mary Sophia Spilsbury of the parish of Wolborough, Devon, married by licence in Wolborough. John Gribble was one of the witnesses. 1822 Four children of George and Mary Sophia Cutliffe were baptized in November. The three boys and a girl were born between 1813 and 1821, and George is described as a surgeon. A further son, Robert, is baptized in 1824, and a daughter, Elizabeth, in 1830, with the surname Cutcliffe. In 1829 a house in East Street with a garden in Hare's Lane was to be sold by auction at the Golden Lion. The current occupier of the house was Mr. George Cutliffe. 1835 George Cutcliffe, surgeon, was discharged from the Insolvent Debtors' Court. When George Cutliffe Jnr. died aged 34 in 1847, his memorial in Moretonhampstead described him as the eldest son of George Cutliffe Esq., surgeon of Ashburton. 1823 Robert Palk Mogridge, Member of the Royal College of Surgoens, made 'Observations on the Fracture of the Patella' in the Transactions of the Associated Apothecaries and Surgeon-Apothecaries of England and Wales. Mary Bovey married Robert Palk Mogridge at Ashburton on 10th July 1828. He was a surgeon; she is described as the daughter of John Bovey of Peartree. 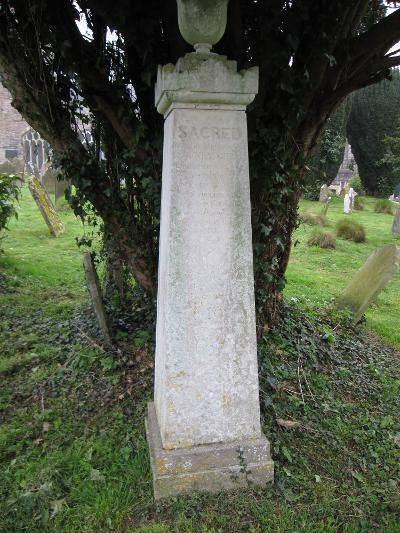 Robert, 'a highly respectable surgeon' died at Ashburton on 20th March 1837. He was 40 years old. Shortly afterwards a family house was up for let at Ashburton, that might be of particular interest to surgeons. 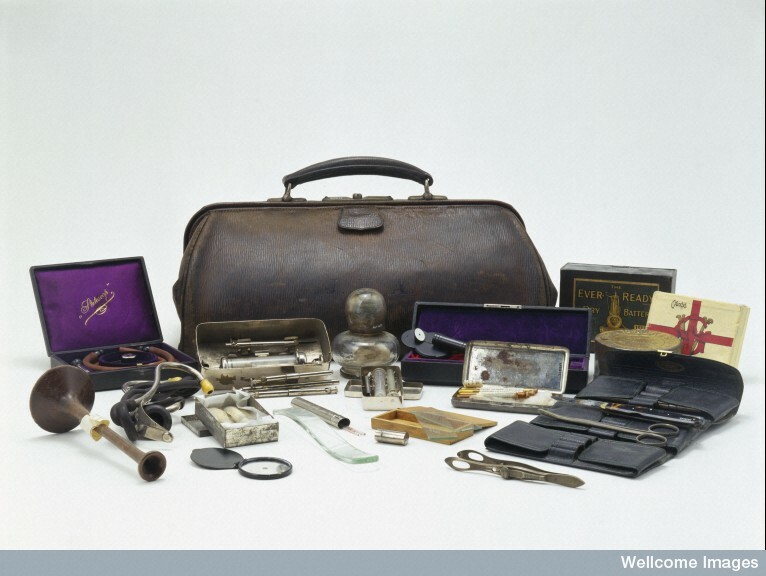 Three surgeons had practised at the house for a period of 70 consecutive years. The new tenant, who would be helped to retain the current patients, would be expected to pay for bottles, drugs and surgeon's cutlery at valuation. Interested parties were to contact Mr. Bovey at Peartree House or Mr. Berry at Chagford. * 'Monstrosities' appears to be a commonly used term in medicine at this period. In an article in the Edinburgh Medical and Surgical Journal M.I.G. St-Hilaire puts forward a classification of anomalies in living creatures, from simple slight anomalies through to complex anomalies. It is this final class, complex anomalies, that can, he says, be termed monstrosities or monsters. John Soper's own daughter was baptized in June of 1830. His wife is named as Susanah. 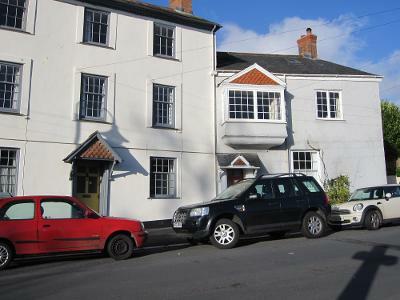 In 1834 premises were for sale in West Street, consisting of a dwelling house with offices attached. A new build, it consisted of kitchen, parlour, drawing room and three bedrooms over three floors, with garrett rooms above. Mr. Hele, surgeon, had been the last occupier. John Hele and James Forster both passed their examinations for the Royal College of Surgeons in 1840. Former pupils of H. H. Hele of Ashburton, they were currently at Guy's Hospital, London. In December 1842 The Western Times had apparently reported the death of a child, or children, of an impoverished family called Hodge, residing in Ashburton but not of the parish. The implication was that the death(s) had occurred because of a lack of medical supervision. The following week Henry Hele (Surgeon) wrote to the paper, stating that he had attended the children himself, for free, although the application for a parish medical attendant had not been granted. and John Soper MD in West St.
White's Directory of Devonshire shows Edward Fowler Bean in East Street, Hy. Herbert and John Hele in East Street and Thomas Lyle, also in East Street. Born in 1804, by the 1850s Herbert Henry Hele was apparently fascinated by the new invention of photography. He confessed to devoting most of his time to it. Sadly, no known examples of his work have survived. Edward F Bean, East Street, General practitioner and surgeon. Mr Bickford and Mr Hammond's accounts were at variance with that of Dr MacGill, and the Board decided that on that matter they would like to hear the doctor's response. However, there had been other complaints against Dr MacGill, for failing to turn up to perform vaccinations - appointments that he had made himself. Mr J F Harvey said that there were complaints almost every week, and that it reflected badly on the Board. He wanted to dispense with the services of the doctor, but warned that he was 'as slippery as an eel'. The Board voted unanimously to investigate whether there had been a gross dereliction of duty. By December the Board were selecting a new medical officer for Ashburton. An inquest in 1870 investigated the death of G. Edgecombe, a saddler, who had died as a result from a fall from a trap whilst returning from Widdecombe Fair. Mr. Pringle, surgeon, an assistant to Walter Gervis, gave evidence. Mr E F Bean had given up being a surgeon and taken up mining by 1875. He was one of the defendants in a case concenring wrongful diversion of the River Dart, for the purpose of working a tin mine at Holne. The defendants had made a leat, and constructed a large building with stamping machinery and a turbine. Dr Blackall, who owned the manor of Spitchwick, objected to the works and in particular to the diversion of the water. He was awarded damages of 40s. The 1881 census of Ashburton includes the details of William J Fraser, Medical Practitioner. A single man aged 27, he was living in Lawrence Lane. 1884 The wife of James Adams M.D., of Alexandra House, Ashburton, gave birth to a son. 1885 Dr. Fraser was injured when returning to Ashburton from Widecombe when his horse shied. Dr. Williams sustained a broken leg and a wound to his face. One afternoon in 1886 Harry Harvey, of the Leusdon Board School, climbed over the playground gate whilst holding his slate pencil. He fell, and the pencil penetrated his right eye socket, going one and a half inches into his head. Dr Fraser removed the pencil at his surgery in Ashburton, and there were hopes that there would be no lasting damage. When the funeral of Dr William J Fraser took place at Ashburton in 1890, the Western Times described it as a Masonic funeral, with many of the mourners in masonic clothing. He had been secretary of the Ashburton Lodge. Of the 'beautiful wreaths' which covered the coffin, one was from the Musical Society, of which he was the hon. treasurer. In 1899 an Ashburton doctor was seriously injured when his horse reared as he attempted to mount it to begin his round. Dr Digby White was thrown high into the air and landed on his forehead. He was attended by three doctors including Dr Wilcox of Ashburton. Dr White was about 30 years old and had been practising in the town for several years. Wilson Ranson FRCS, LRCP. Edin., physician and surgeon in East Street. George Thomas Albert Staff MRCS Eng., LRCP Irel., physician and surgeon, Welstor. *In 1901 forty-four year old Ernest Wilcox was living in West Street, near to Sparnham. Born in St Neots, Huntingdonshire, he was a surgeon and general practitioner. Reminiscences of Reg Andrews, born 1893 and remembered in his 80s. Many thanks to Dave Hodge-Brooks and Ernie Smerdon for passing on this account. The 1911 census shows 40 year old Walter Fitzpatrick, physician and surgeon, living at Hiram Lodge. When Mrs Charlotte Ellis died in May 1927 she left her property in trust for her two sons Henry Augustus Ellis and Ernest Alfred Ellis, the latter a medical practitioner at Ashburton. Mrs Ellis lived at 41, Grosvenor Place, Bath; formerly she lived at 60, Bryn Road, Swansea. In 1932 Dr. D. C. Clark gave evidence at the inquest on Thomas Lambic Loveridge. When Dr James Adams died at the age of 87, the Western Morning News reported that although he had lived in Sussex for fifty years, he was a Devonshire man by birth. Before going to Eastbourne he had practised in Ashburton. The Medical Bibliography shows James Adams as a member of the British Medical Association, a surgeon and the Ashburton and Buckfastleigh Cottage Hospital and an assistant surgeon for the 9th Devon RV amongt other positions. He was a contributor to an article in the Lancet in 1877, 'Case of Hydrophobia, with Remarks'. The 1881 census shows 31 year old James Adams as living in East Street. Born in Malborough, Devon, he is a general practitioner. In May 1912 an inquest was held at the Cottage Hospital on Ann E Bunston, a domestic servant who worked at Hawson Court. Miss Bunston had often complained of indigestion, and when she consulted a Dr. Williams he said that an immediate operation was necessary. The operation was performed by Dr. Williams, assisted by Dr. Ellis, but the patient never recovered consciousness. An Annie Elizabeth Bonstow's birth was registered in the same district in the September quarter of 1888. When I was a child in the early 1960s Dr Mills had a surgery at the top of East Street. You went through the front door and turned right into the waiting room, which I remember had a large rocking horse in it, plus a picture of fighter planes on the wall. The surgery was on the left hand side of the front door. I had had a pain in my abdomen for some time but had said nothing about it. Eventually it was obvious that something was wrong, and Dr Mills paid a house visit - by this time I had a fever and a high temperature. He said that my appendix had to be removed immediately, and I was admitted into Ashburton Cottage Hospital. Dr Mills performed the operation himself - I was anaesthetized by having a mask put over my face witha cloth over the top of it, and then (if I remember correctly) the anaesthetic was sprinkled over it. I was kept in the hospital for ten days afterwards. An Ashburton resident, to whom many thanks for this account. Alan R Mills and Susan P Mills are on the 1965-66 Register of Electors, living at 87 East Street. Alan Ruskin Halford Mills MRCS Eng LRCP London, is shown at 87 and 89 East Street in the 1970s. Dr R G Hall, Medical Officer of Health for Ashburton, died in October 1950. He had taken over the practice of Dr E A Ellis approximately 11 years previously.